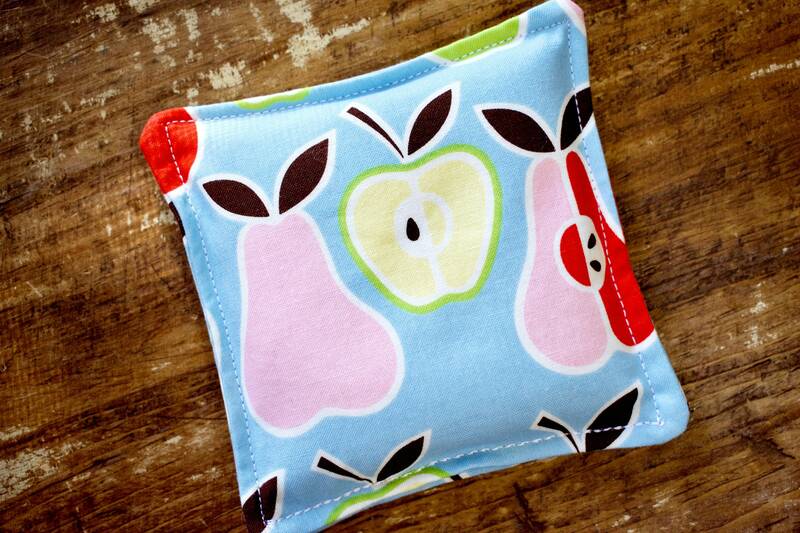 Heat these 100% cotton hand warmers in your microwave, pop them in your pocket and off you go! Great for going out into the cold or if you have a drafty house! Burrrrr! Gift shopping? 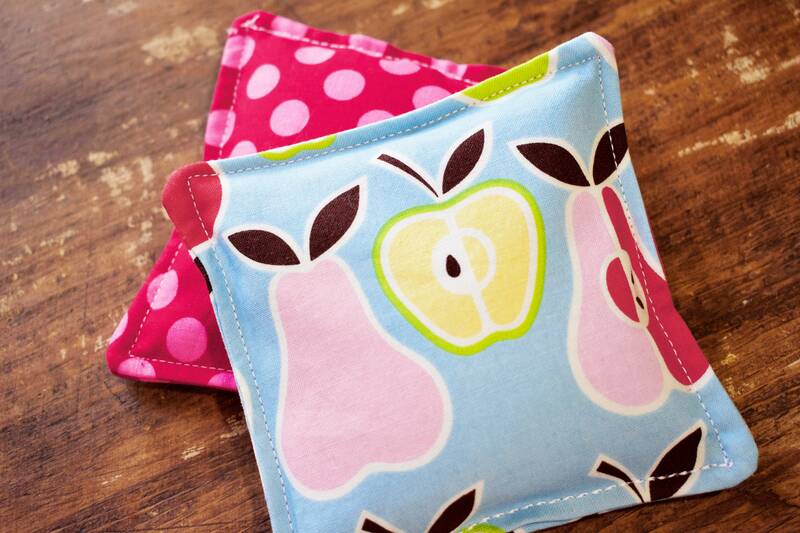 These make great gifts for teachers, dog wakers, co-workers, or for stockings hung over the chimney with care! 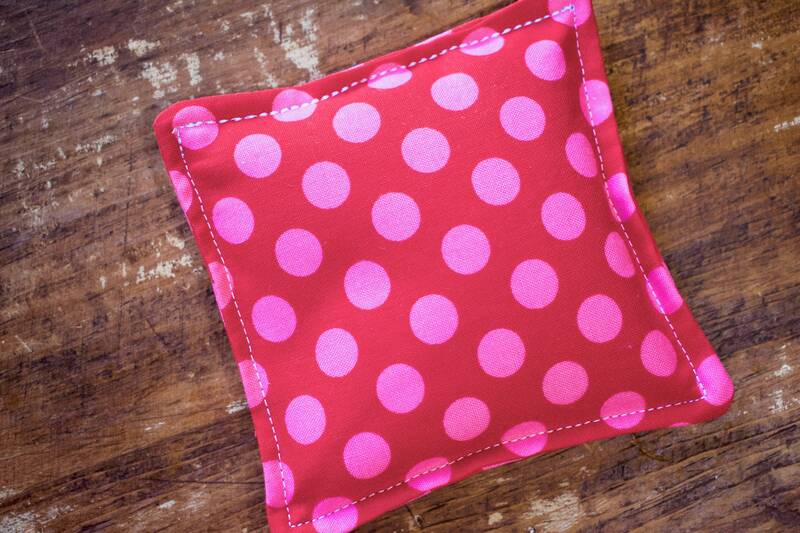 You get two 5x5 inch warmers, one with a cotton fruit print and another a bright red and pink dot cotton print. 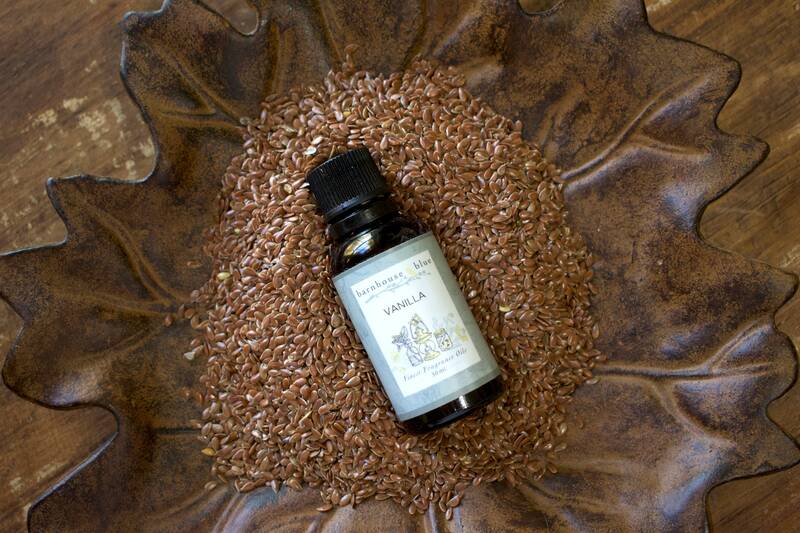 Each cotton square is lined with muslin and filled with flax seed that has been lightly scented with vanilla fragrance oil, mmmmmm! 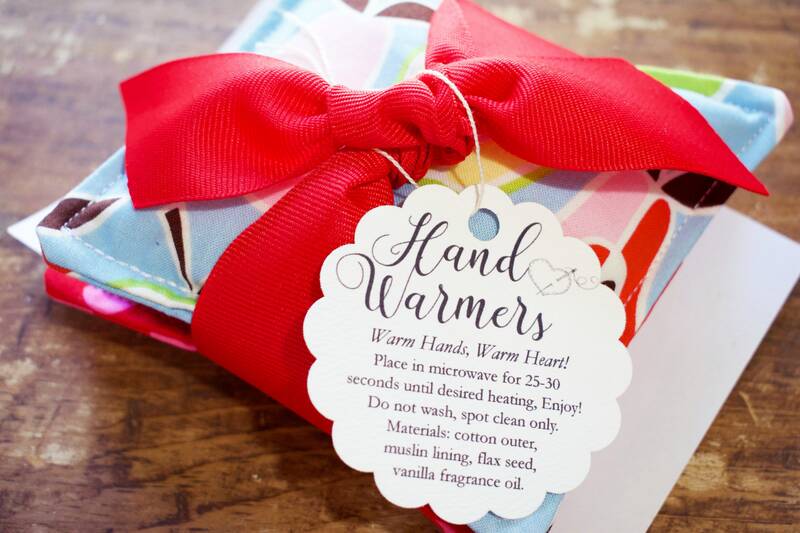 Hand warmers are wrapped in a pretty 2 inch wide ribbon and includes an instruction tag. Packaged in a cello bag.